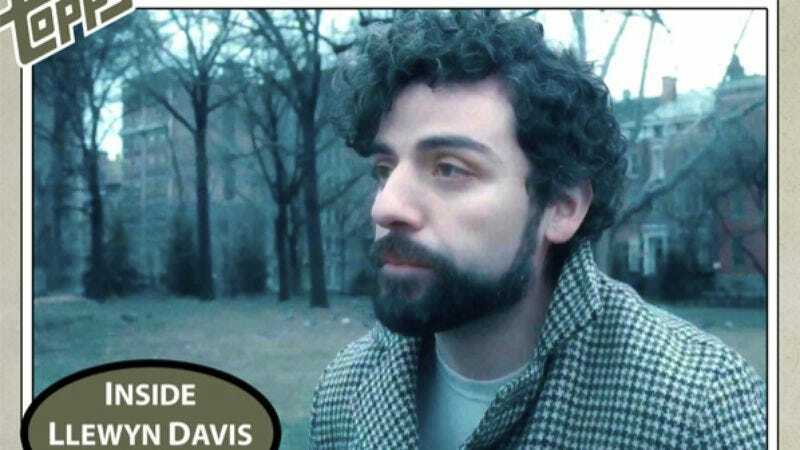 In the grand scheme of Coen brothers movies, Inside Llewyn Davis seems destined to be beloved by a small camp of diehards. Like A Serious Man or Hail, Caesar!, its pleasures evade most on early viewings. Some of these, like Barton Fink, eventually develop a reputation as august as any of the more universally agreed-upon Coen classics. Maybe it just takes a quarter century. After you have, thrill to the 40 scenes recreated here. You can get your own set of cards commemorating this new saint of disaffected, self-sabotaging artists for just $5 by filling out this form. All proceeds go to Planned Parenthood, so you’ve got nothing to lose. The team behind the project has no plans to continue with Llewyn Davis or any other Coen movie, calling it “something that maybe shouldn’t be a joke, but because of that, it works as a joke. Kind of like that Barton Fink gag in The Simpsons”—a joke which, like the movie itself, has also only gotten better with time.